The blonde misunderstood when someone told her she should "Post it"
in order to sell her car. The blonde misunderstood when someone told her she should "Post it" in order to sell her car. 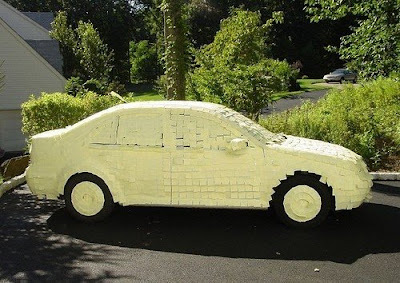 Post-It: Now in a convenient car size! James couldn't afford the carbon fiber, so he went for paper fiber instead. What Are You Fishing For? Can You Spare a Giraffe?